Many guitar teachers started out teaching as a way to earn extra money while they gig or go to school. This is a totally legitimate reason to get into teaching guitar, and if you’re just looking to earn a little money on the side as a teacher, that’s fine! However, for many people, teaching guitar lessons becomes more than just a side gig. It can quickly turn into a reliable way to make a decent living, work for yourself, and still have opportunities to be creative in whatever capacity you want. If you’ve been running or are starting to run a larger scale teaching business, you may feel that there is a ceiling on how much money you can realistically make. This is a common complaint that guitar teachers have: trouble increasing their earning power. Also, many teachers struggle with acquiring new students, dealing with “problem students” and retaining students over the long haul. 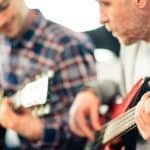 In this guide, I want to go over a few ways you can earn more per hour teaching guitar. This will include some short-term solutions as well as some long-term strategies to earn more over time. The first and most obvious reason guitar teachers don’t get paid enough is simply because they do not charge enough. Do not offer “cheap guitar lessons”. Offer great guitar lessons. Offer students the opportunity to become great guitar players. People don’t want to take guitar lessons – they want to play guitar. You should charge what you feel you’re worth. If you want to earn $35/hr, charge that rate. If you think you’re worth $80/hr, charge that rate. Of course, you may have to move that scale around depending on your students and whether they are willing to pay your asking price. However, there is no point in underselling yourself. Another common mistake teachers make is not increasing their rate every year. Cost of living goes up every year, why don’t your rates? You don’t need to double your rate every year, just give yourself a reasonable raise and explain to your students the reason for the rate increase. If somebody can’t afford it, consider whether you want to keep them as a student, and then negotiate from there. Teaching one on one lessons is far and away the most common way for lessons to be structured, and it’s obvious that this is a good method for many students and teachers. That said, it’s not the only way to structure lessons, and sometimes, it’s not even the most effective way to go about it. Growing up, my piano teacher always had one group lesson every month. I loved it, mostly because I knew I had to practice less that week, but I think there were other positives to this method as well. I enjoyed the social aspect of group lessons; meeting other kids that were taking lessons and hanging out. Playing music with others is an extremely important skill, and for many young musicians it’s the end goal of lessons – group lessons give kids a chance to begin collaborating. Occasionally, we would work up a group piece and perform it at a recital. Getting the opportunity to perform with other young musicians is worthwhile. Of course, for teachers, group lessons unlock two things: the ability to combine multiple student’s lessons into a few time slots, and the ability to charge significantly more for that hour of teaching. For my piano teacher, teaching a group lesson once a month was a way to free up time to pursue her own – also profitable – creative interests. She played harp with symphonies and recorded her own music as well. While she only taught group lessons once a month, there are other teachers offering weekly group lessons. Because you end up making way more per hour, you can charge individual students less. This gives some families a more affordable way to take lessons. For students who want to play with other kids, this is also a great option. Finally, you can teach group lessons that go in-depth on specific topics. Get in-depth on the circle of fifths. Work on basic harmony. Work on sight reading. All of these things can be offered as optional group classes. You can end up making way more money on that hour. Of course, group lessons require different teaching strategies – but the point is, they are but one way to make more money teaching. If you read the first point, you know that you should be increasing rates for returning students at a reasonable but steady rate. Not only does this continually grow your earning power, but it also means that year by year, you’ll be earning more money every hour. Students will stay with you as long as you are finding ways to enrich their lives and continually improve their musical abilities. You should know your students fairly well. Consider what each of them wants and needs to enrich their lives. Is one student dying to play in a band? How can you help facilitate that? Is another student looking to play open mics? How can you help them prepare? The point is not to create a culture of dependency, in that your students can’t play without you. It’s to create a culture where students are excited to come back to you, talk about what they’re doing musically, and then work on improving it with you. Putting in a little bit of extra effort and having a dialog with your students about this will help you keep more of your students. If you start getting more work than you can handle, it’s time to bring on another teacher. Again, I’ll use my childhood piano teacher as an example. For a couple years, I spent every second week with a different teacher, who was also great, but was younger and less experienced than our regular teacher. These lessons were slightly less expensive, but it made it possible for the primary teacher to teach one lesson while another lesson was going on in the same studio. She then took a percentage of the other teacher’s wage, and ultimately earned more per hour. There’s always more money in having other people work for you. It can take a while to get this up and running, but if this is the sort of business you would be interested in running, then put a priority on growing your teaching practice. Let’s face it: there are a lot of guitar teachers out there. 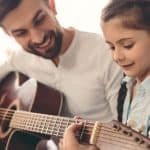 If you’re offering basic guitar lessons, what are you offering that will make a student choose you, stick with you, and pay you appropriately? Take a moment and assess where your real specialties are on the instrument. Are you a blues player? A country player? Metal? 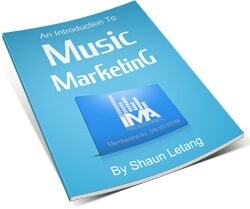 Do you have advanced knowledge of music theory? Can you teach singing lessons as well? When you offer specific services and specialized training you’re doing two things: attracting students who are excited about the kind of music that you are good at, and unlocking the ability to charge more, because of your specialization. These kinds of students will be willing to pay more to learn from somebody who knows the music they love. They’ll also be better students; more excited and more willing to practice. Every guitar teacher expects to have a few problem students: those who don’t show up on time, don’t show up at all, don’t practice, or have lousy attitudes. You may think that you have to stick it out and teach these kids. Not true. You do not have to do that. Your time is valuable and is better spent trying to attract better students. Problem students waste time, they do not refer new clients, and they just tire you out and make you feel discouraged. Anyone who has ever taught a problem student can attest to this. One on one with a miserable kid is not fun. Let go of students who are not worth teaching, and instead spend time considering where you want your business to go and creative ways to take it there.